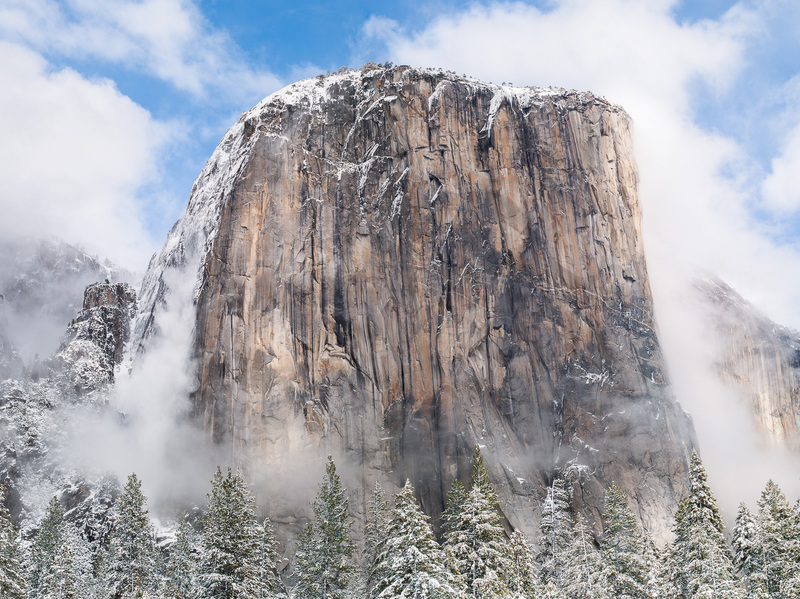 El Capitan sheds snow from last nights storm. What a grand sight indeed! Photo © copyright by Lance B. Carter.